People think of California as a really hot place and are always surprised when they come here and realize that the coastal areas really aren’t that hot. The weather people here have a standard line they replay most days: “Early morning low clouds, followed by hazy afternoon sunshine.” We can stay at a pretty much constant 72° F for months on end. At night it gets chilly, dipping into the mid-60s. I know that sounds funny but people who come from “normal” climates are always surprised that it doesn’t stay warm at night here, even in the summer. While the inland areas do get pretty hot, being near the beach we have a lovely ocean breeze to keep us at that moderate temperature. As a result, homes in our neighborhood simply don’t have air conditioning. But over the last few years, it’s been getting hotter and hotter. We kept thinking it was unusual, but now we’ve had quite a few very hot summers even by the beach. Our bedroom and bathroom is the full width of the house, and the West to East breeze has to squeeze through a tiny bathroom window to flow through the bedroom. In other words, no breeze at all. Now that it gets into the mid-90s here, recording in my bedroom is like recording in a sauna. Finally, 2 years ago Steve bought a standing Danby air conditioner from Home Depot for just our bedroom. It’s glorious for those 90+ degree days. But sometimes it’s just in the low 80s, and I feel like a wimp turning on the air conditioner. At the same time, anything above 77 degrees and I’ll have sweat pouring down the sides of my head from wearing over-the-ear headphones. I wanted to be cool but I didn’t want to turn on the air conditioner. I’m sure you’ve a guess at the solution, but I’ve decided to teach you some stuff I learned in engineering school. I like to explain these three methods of heat transfer with an example to which all of us can relate. Take a super hot bath, or maybe spend some time in a jacuzzi. When you get out of the hot water, assuming there’s no wind, you’ll experience radiation cooling. The air around your body is cooler than your body and so in a very slow and inefficient process, the two will begin to equalize, with the heat leaving your body towards the colder air. Notice how after a hot jacuzzi or bath it takes a very long time to cool down. That’s because radiation cooling is the least efficient method of heat transfer. Now let’s say there’s a stiff breeze when you get out of the jacuzzi. The wind moving across your body causes our second method of heat transfer: convection cooling. I’m sure that you’ve noticed that you get cool much faster when there’s a breeze rather than just standing around waiting to cool down. You can feel that convection cooling is a more efficient heat transfer method than radiation. The very best heat transfer method is conduction. Now imagine you get out of the jacuzzi and you sit down on a metal bench. Your little bottom will start to get cold quite quickly. That’s conduction — when you actually touch two surfaces solidly together the heat will equalize between them much more efficiently than through air. Now let’s get back to talking about my lovely air conditioning. Air conditioners provide two functions. 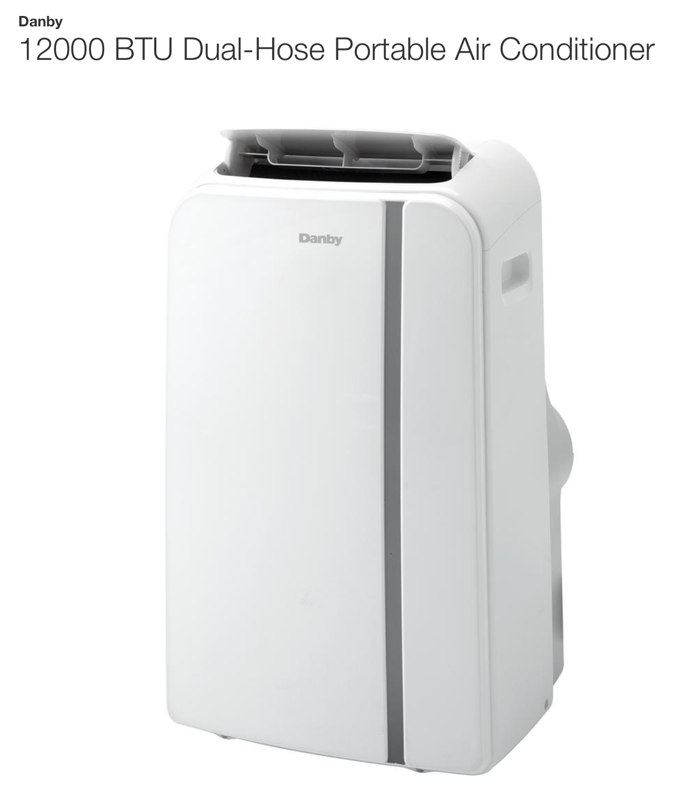 They cool the air, but they also dehumidify the air which can make you feel a lot more comfortable. Setting aside the humidity factor, an air conditioner cools the air and then blows it around a bit, but it probably doesn’t blow directly on you. So while an air conditioner will eventually lower your temperature, your body has to use radiation cooling to transfer the heat from your body to this newly-cooled air. The other problem with air conditioners is that they use a tremendous amount of energy. In order to cool you down, a compressor has to take the heat from the air in the room, transfer it to a liquid refrigerant, and then pump that heat outside. Some units even use radiation (which we just learned is the least efficient of the heat transfer methods) to dissipate the heat outdoors. This inefficiency also results in a lot of noise. Not only does the heat transfer/condenser process make a racket, but it’s got a fan in it too. Now let’s talk about the simpler solution: a fan. Fans blow air across your skin, cooling you down more quickly with this convection cooling. Sure it’s not as good as sitting on that metal bench for conduction cooling but it’s better than radiation. I suppose the best-case scenario would be to turn on the air conditioner, point a fan at yourself, and then wrap yourself in a bunch of ice packs. But let’s talk about a more practical solution. My studio is in my bedroom, which is quite large, but that lovely ocean breeze outside has only a tiny window in the master bathroom to flow through which means I get pretty close to zero natural convection cooling. My air conditioner works but is far too noisy to ever have on during podcasting. And when it gets hot, did I mention how hot it gets under over-the-ear headphones? The best solution had to be a fan to get the benefits of convection cooling, but it couldn’t be loud and yet had to efficiently blow air across me. I had an industrial-strength fan but it was super loud which cooled me down, but it was so loud I couldn’t podcast with it on. I also got a small Vornado fan which wasn’t nearly as loud but also not powerful. When desperate I’d put it under my desk pointing at my legs so it was blocked from annoying the microphone. Still wasn’t ideal. Then Steve took it on as a mission to find me the perfect fan, and he succeeded. 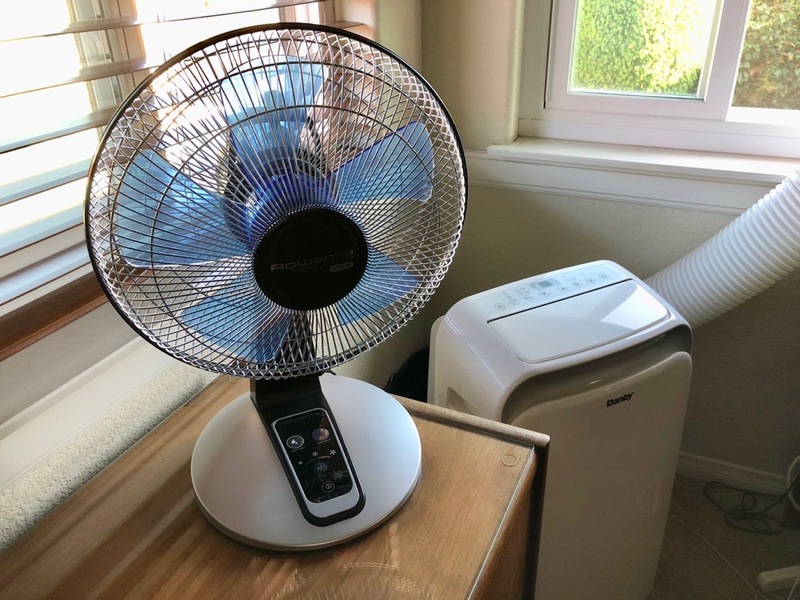 Enter the Rowenta VU2660 Turbo Silence Extreme Electronic Table Fan with Remote control. The Rowenta comes in two sizes, 4-speed for $67 and 5-speed for $100 from Amazon. Since Steve loves me (or tires of hearing me whine about being too hot), he sprang for the 5-speed, mostly because it came with a remote, but I’ll get to that in a minute. 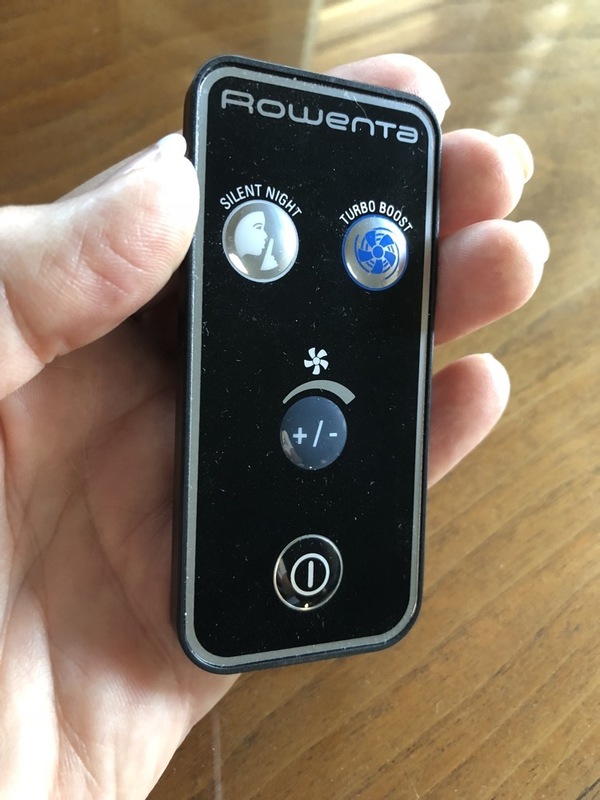 The 5-speed Rowenta has two modes that make all the difference. One is called Turbo Boost and with the fan on my dresser 12 feet away from my desk, it gives me a great cooling breeze across my entire body. I might not be able to record with it on Turbo Boost, but the cooling is undeniably effective. The other mode that is equally impressive is called Silent Night. While I can’t sleep when I’m too hot, Steve can’t sleep if there’s too much noise. With Silent Night I get a gentle breeze and it is nearly inaudible. Often I have walked up to it thinking it’s off when I’ve actually left it on. It’s a fantastic compromise for us. Between Silent Night and Turbo Boost, there are three normal speeds, giving you a full spectrum of five speeds. The Rowenta fan stands around 21 inches high and the fan portion is around 14 inches in diameter. The remote is awesome. As I mentioned earlier, the fan sits on our dresser 12 feet away but with the remote, I can change the speed and turn the fan on and off. I do find it comical that I walk or run 9 miles (18,000 steps) a day but if I have to get up and walk across the room to turn on the fan it’s way too much work for me! I know you guys think I’m making too big of a deal about this fan but it makes me seriously happy. It’s quiet at night so I can be cool and Steve can sleep and it’s powerful enough and quiet enough to keep me cool even while podcasting. If you’ve been looking for the perfect fan, check out the Rowenta VU2660 5-speed fan with Turbo Boost AND Silent Night. Now, aren’t you glad you got to learn all about heat transfer before I told you about my fan?